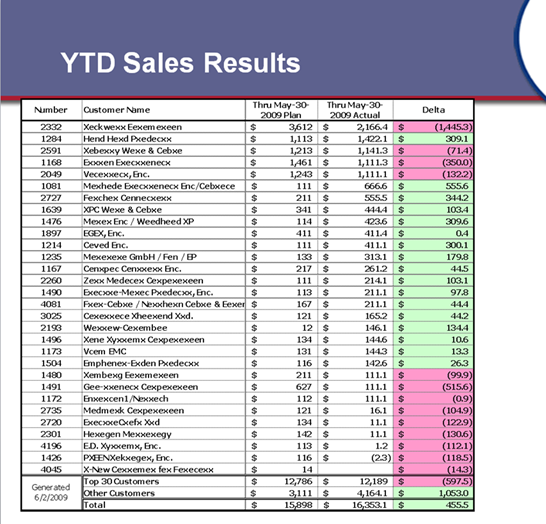 This custom report was designed to allow the Sales Vice President to quickly and accurately assemble a PowerPoint presentation with the latest Sales and Bookings information. The report executes of series of ODBC calls into the AXIOM\Progress tables to extract actual sales and bookings data, and then it scans the embedded Excel Customer User Data Workbooks for the latest forecast information. 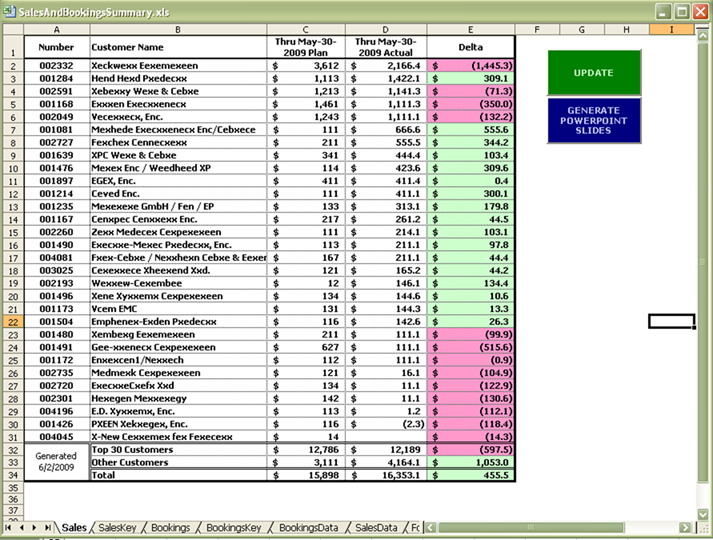 The information is compiled in this Excel table, and then with a simple mouse click, a PowerPoint slide deck is assembled.